View our dramaturg's research website here. "Villanova's production is fast-paced and high-spirited. Director Joyce has assembled a solid ensemble of under-grads and MA students and guided them to an end product that is both funny and touching. Her directorial touches are subtle and allow the actors the freedom to create." "Laura Barron is a compact ball of fire. Her energetic, passionate performance truly conveys Jo's determination to live life on her terms." "Jaclyn Siegel is adorably bratty as status-conscious youngest sister Amy, while Allyce Morrissey balances her perfectly as gentle peacemaker Beth, the second youngest of the quartet. Eldest sister Meg, the closest in spirit to Jo, is beautifully played by Kara Krichman. She deftly takes her character through the arc of young girl to wife and mother." Based on Louisa May Alcott’s American classic, this Civil War story of love, family, and independence stands the test of time. With her father away at war, the indomitable Jo March writes a spirited coming of age story inspired by her colorful family, including her three beloved sisters Meg, Beth, and Amy. 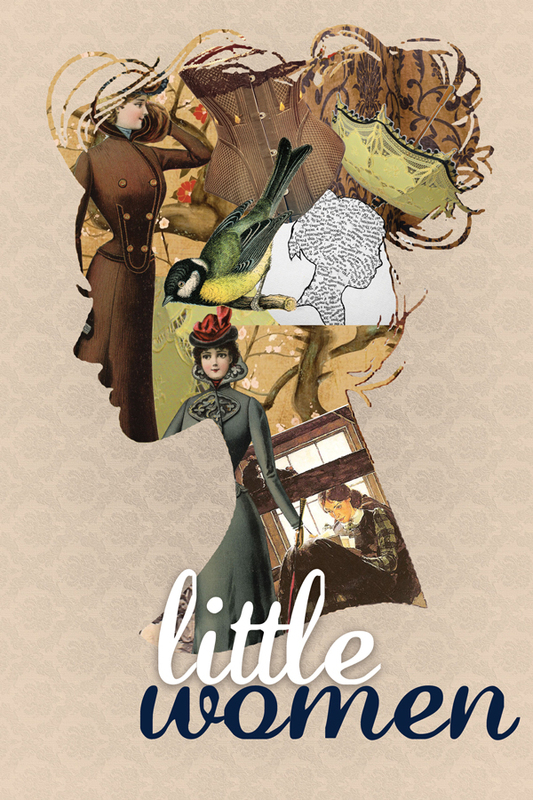 In a tale filled with adventure and imagination, heartache and hope, the struggle of these “little women” to find their voices mirrors the growing pains of a young America. This dazzling new musical has captured the hearts of a new generation with its buoyant, joyful melodies, memorable characters, and big-hearted message.